You are a Sinful Wretch! This is what sonship proponents and some extreme Calvinists have declared to their congregations again and again. But is this a true biblical teaching in light of the redemption of Christ? My old seminary friend, Jake Belder, has done a fine job untangling this wretched mess. Election does not mean that we can live by sight. Election does not mean that we have insight into the decree of God so that we can relax. Rather, election calls upon us–election summons us–to live by faith in Christ, to walk in the Spirit, to be in fact the people of the covenant. Election establishes covenant; that’s the point. The gifts are all ours by grace, and they are enjoyed in the way of faith (2 Peter 1:3,5). The fear of the Lord, the keeping of his covenant, and obedience to his commandments are the means through which and the conditions upon which those who have received the pledge of God’s faithfulness may entertain the assurance and comfort of His faithfulness. 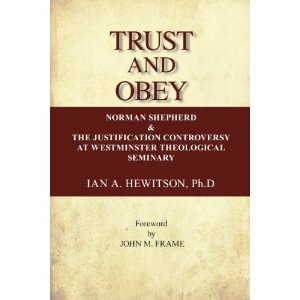 If Shepherd is to be condemned for seeing Paul and James speaking of the same justification, then Machen should not have escaped the wrath of Westminster Seminary.